Brief for Cato Institute et al. as Amici Curiae Supporting Petitioners, City of Arlington Texas et al. v. Federal Communications Commission et al. Cato Institute et al. "Brief for Cato Institute et al. as Amici Curiae Supporting Petitioners, City of Arlington Texas et al. 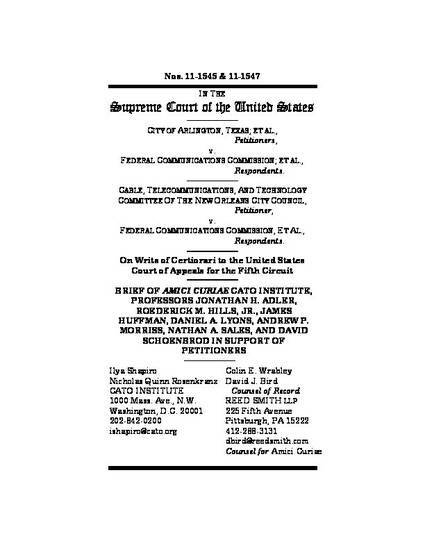 v. Federal Communications Commission et al." Brief submitted to the U.S. Supreme Court.